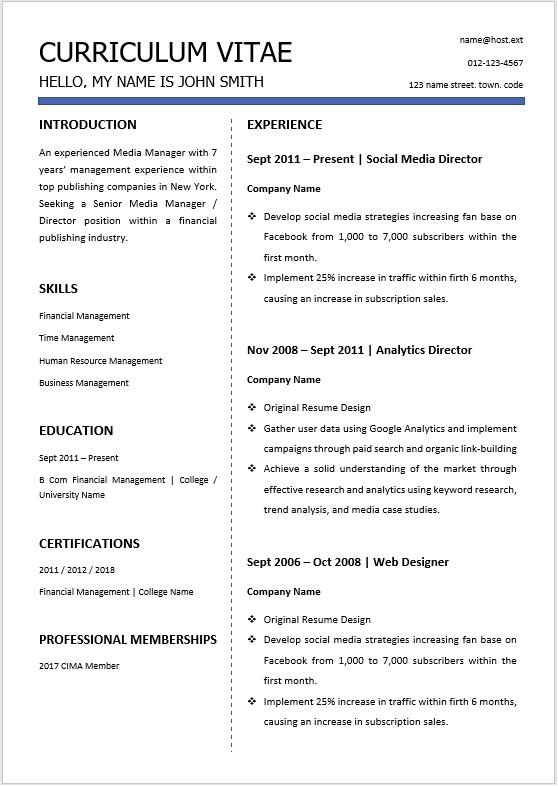 Media Manager manages social media marketing campaigns and day-to-day activities including: … Create, curate, and manage all published content (images, video and written). 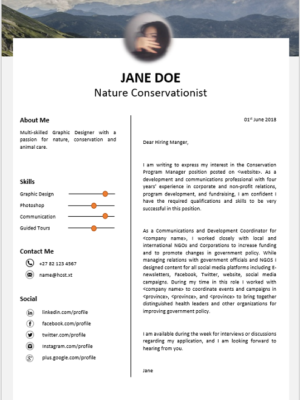 Monitor, listen and respond to users in a “Social” way while cultivating leads. 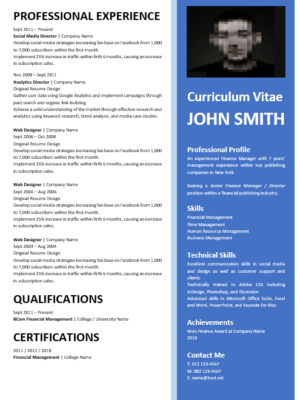 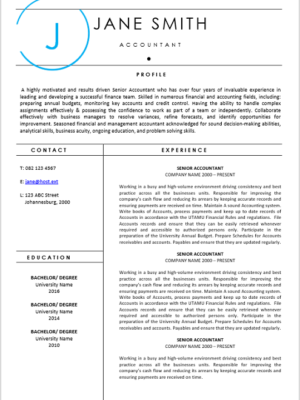 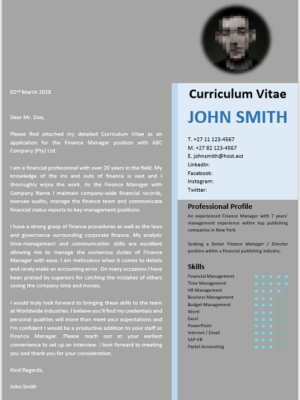 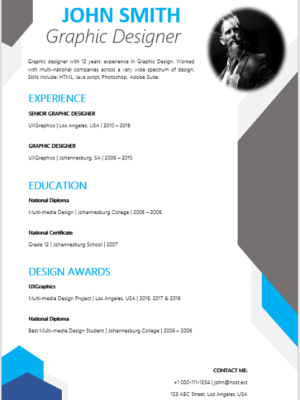 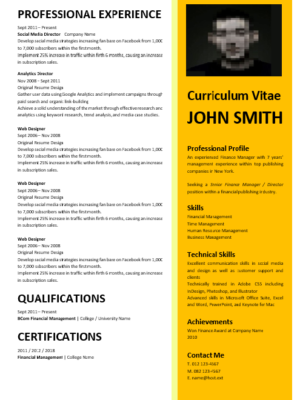 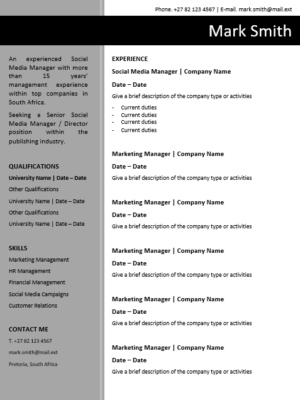 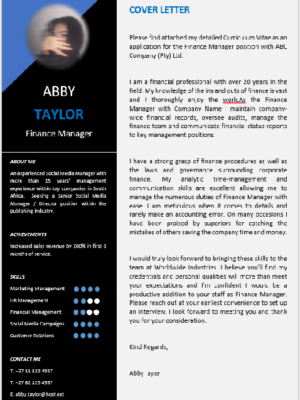 This CV is ideal for a Media Manager seeking new employment or wanting to change employers. 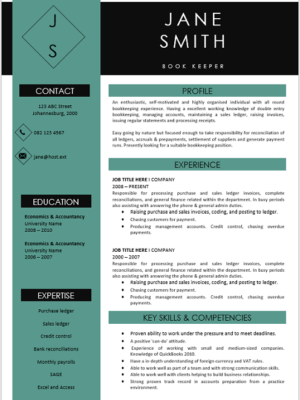 You might even want to use it to market your social skills and experience.